This election, the choice in running mates is clear. while Dr. Strange continues to discriminate against man-bulls by offering the second-highest office in the land to a creature than vacillates wildly between child-like intelligence and city-destroying rage. Are these truly the best candidates to cast the tie-breaking vote in the event of a senatorial deadlock? 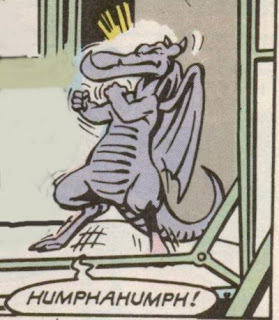 Can Americans truly trust that such candidates won't just fall in love with larger, city-destroying dragons or declare themselves Master of the World should the President be incapacitated? 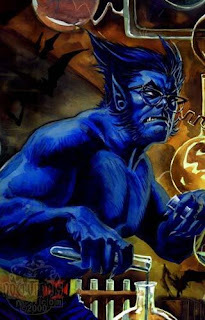 Cyclops believes there's a better candidate for the job: Hank McCoy, the bouncing, bucolic and brilliant Beast. 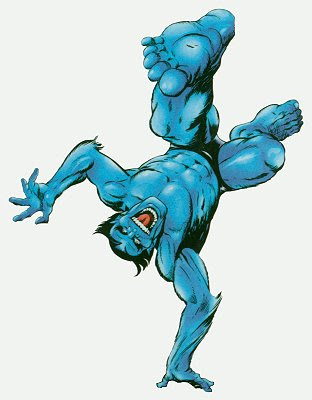 Unlike SOME candidates this election, Beast served his country proudly as a long-standing and effective member of the Avengers and has never declared himself master of the world. and determined to keep an eye towards the future. and devised a plan that will increase government funding to needed programs like education and the fine arts while balancing the budget and eliminating the national debt, all without raising taxes AT ALL. 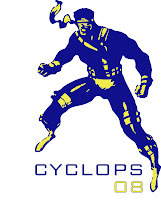 When it comes to a choice between an alien, an engine of destruction, and a genius with proven political experience and a record of service to this country, Cyclops believes the choice is clear, and hopes you will too. On November 4th, vote for the team with a clear and direct vision for the future and the smarts and experience to make it a reality. It's time America mutated into something better. 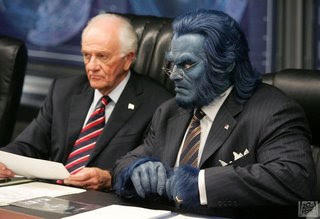 Vote Cyclops and Beast in 2008. 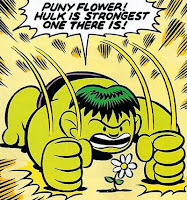 First of all, Beast politicial views seem very light on the important issue of smashing. 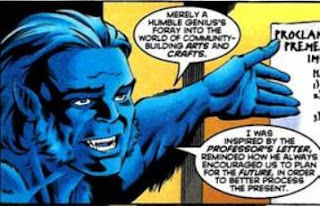 Secondy, if Beast is so 'smart', why not tell the story of how he got his blue hair to begin with? Oh, you mean the time that he heroically drank an experimental formula in order to gain additional power so that he could stop a villain from selling government secrets, resulting in his transformation to a more bestial appearance which would have been reversed in an hour if he hadn't been too busy being a hero to take the antidote? Aahh . . .2008 - The year of the "Running Mate Monsters"! I was hoping for a little more pandering to the electorate instead of focusing on silly things like leadership and values, but I feel I have the information I need to make an informed decision. Oh sure, that's one side of the story. 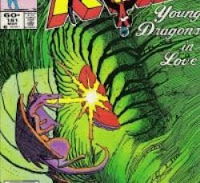 Another side would be that Beast was working on a dangerous genetic weapon with no regard on the effect it could have worldwide. Somebody planned to steal the formula and instead of simply destroying it, like any sane person would, he stupidly decided to drink this untested chemical. 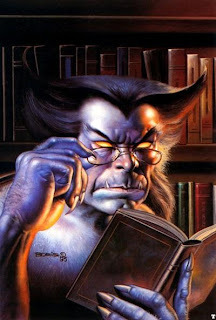 Then, Beast lost track of time and was permanently stuck in that form. Can we afford to have someone in office who may lose track of time when their finger should be on the button? I, for one, want a candidate with a bit more common sense. Miss Kitty Pryde would like to point out that she believes in common sense and this common sense drives her to never have her finger on the button. Kitty is disgusted with the Military Industrial Complex this country has embraced and knows there is a time to pressure but never a time to annihilate. Doctor Strange would like to point out that he has always been cool, calm, and collected in the face of crisis. 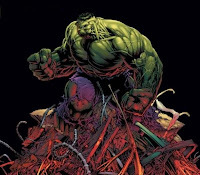 The Hulk would like to point that, if elected, there will be smashing. Oh, and I almost forgot...maverick. 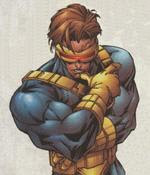 Cyclops would like to point out that he's a proven and effective leader capable of keeping the coolest head in a crisis. 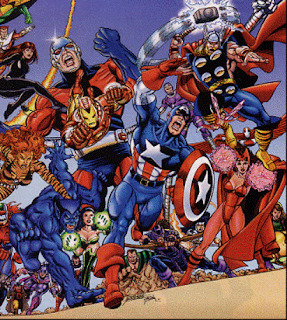 If you want real change this election instead of just indiscriminate and rogue, oh, I'm sorry, "maverick" smashing of things, vote for Cyclops. Doctor Strange would like to point out that everybody wants indiscriminate and rogue smashing of things.